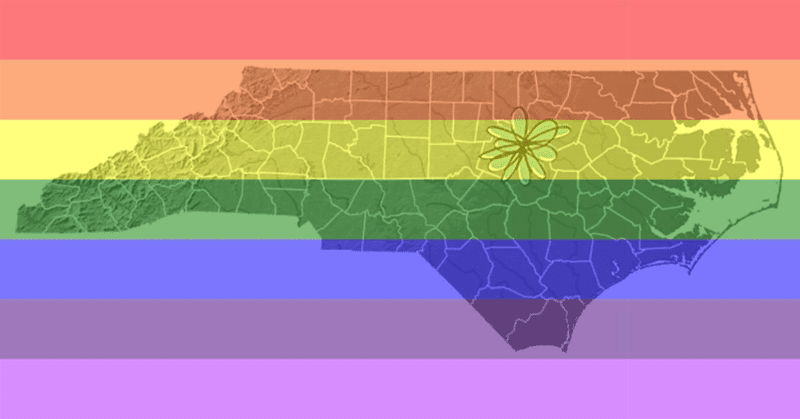 To Our LGBT Friends in NC: Spoonflower Stands With You. We believe in a world that is secure & open for all. As one of North Carolina’s fastest growing companies, Spoonflower considers equality to be a core value to its own business and, more broadly, to a climate that fosters growth and economic development in our state. Defying the interests of North Carolina’s business community, our state legislature passed a bill, #HB2, on Wednesday March 23rd that opens the door to discriminatory practices against lesbian, gay, bisexual and transgender people, bans local governments from passing their own non-discrimination policies, and makes our beloved state look bigoted in the eyes of the rest of the world. As an eight-year old startup that has grown from the kitchen tables of its two co-founders into an international business with over 150 employees, Spoonflower’s success depends on the talent and contributions of all its team members, including those who are part of the LGBT community. We value and protect the diversity of our workplace, which is what makes us strong, creates a positive and productive work environment, and draws new customers to our brand. HB2, and the sentiment behind it, makes it harder for Spoonflower and other technology companies to lure talent and capital to our state, and reflects a misplaced set of priorities on the part of North Carolina’s governor and the lawmakers who voted for the bill. The North Carolina we know and love is not a place where prejudice is sanctioned. The mission of our governor and legislature should be to craft policies that make our state stronger, more inclusive, and more competitive. So to our LGBT friends in North Carolina and across the world, we want you to know that we stand with you. #WeAreNotThis. 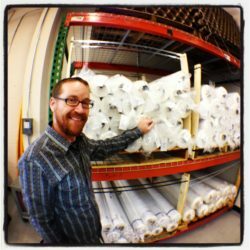 When will Spoonflower be open? Thank you for taking a public stance on this. It is appreciated beyond words. What can we do to help you fight this law? Thank you Spoonflower. We need more voices like this. I appreciate your stand and solidarity. But as of today, I will be hard pressed to knowingly do business with companies headquartered or located in North Carolina. Thank you for writing this. As a fellow North Carolinian and Durhamite, I have felt so much anger and sadness about this bill. Thank you. I have to tell you that, I KNOW that if you supported the bill there was no way I could give you my business. AND…let me add: my business depends on being able to buy my custom (affordable to me) fabrics for my wholesale business. I would have found another solution or discontinued my pillow line. I actually GOOGLED, “Spoonflower North Carolina LGBT” and found this. What is Spoonflower doing to fight this more publicly? Your courage to speak up in a hostile environment should be applauded. Thank you for being open in your opposition to that pathetic legislation. I appreciate your public stance. When similar legislation was proposed in Georgia, businesses throughout the state threatened to pull out if Governor Deal didn’t veto the bill. They succeeded in shutting down the hateful, exclusionary legislation. North Carolina will have to do the same if it wants to rid itself of this ugly legacy. Thank you for standing your ground! You make me proud. I am so glad you made this statement! I support equal rights for all and could not support any business that doesn’t! I LOVE Spoonflower and I love you even more for supporting everyone’s rights! This bill will impact our state economy in a truly horrible way– it doesn’t represent what Spoonflower stands for and we want our community to know that! Thanks for your support, Phoebe! You can write a letter or tweet to our governor, @PatMcCroryNC to let him know your stance on the bill. Many are choosing to publicly boycott NC companies that are not voicing opposition to the bill. As much as we hate to see our state’s economy suffer due to the passing of this hateful bill, it may help to communicate the message that these hateful laws have huge consequences. We completely understand, Tom. Many are boycotting NC companies due to this discriminatory bill and we don’t blame them. But please remember that many NC companies have been vocally opposing this law, and the state is even being sued because so many are against this. Not all of us voted Republican governor Pat McCrory into office, and many North Carolinians are heart broken to see the state we love so dearly go backwards in time. It’s the least we can do. Thank you for standing with us, Lindi! Thank you, C, for your support. it’s the least we could do. We simply could not stand by and say nothing — this is too important! Thank you for your support, Moon Crafter! As consumers ourselves, that is exactly how we feel, too. Thank you Lana for your support! It means a lot! We think that embracing diversity and keeping our LGBT friends comfortable and safe is pure common sense. We’re just sad that our state government disagrees. Thanks for being a compassionate and responsible consumer, Maureen! Spoonflower has let our state governor Pat McRory know that we oppose this bill and that among many other things, it’s bad for our economy. We have posted on social media to our large audience (no doubt alienating a few customers along the way who don’t share our view) and are being as vocal as we can in letting our community know where we stand. My husband and I were planning a move from Long Island to Wilmington in the next year. We are taking a wait and see with hope that this hateful bill will not stand. We are the parents of a transgender child and would be horrified for that child’s rights not be protected. There is no way we could live there if the bill is not reconsidered. So nice to see you speaking out. thanks. The skirt my wife made is so beautiful. Knowing, as a trans woman myself, that it was printed by a company that stands up for my rights makes me even more proud to wear it. « Announcing the 2016 Spoonflower Employee Design Challenge!